Looking for an incredible throw together breakfast that the whole family will love? Congratulations, you have found the only one you’ll ever need! 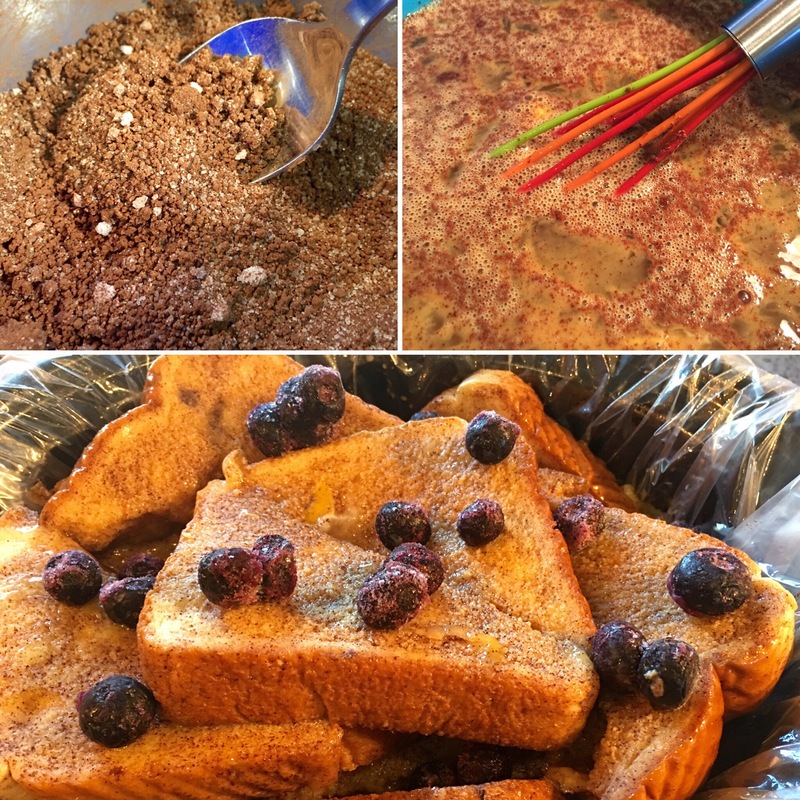 Introducing our family favorite: Slow Cooker Blueberry French Toast! Spray your slow cooker down with non-stick spray. I prefer to use liners so I never have much cleanup but with this recipe, I still spray the liner down. In a small bowl, mix together the cinnamon, brown sugar, and granulated sugar. This is very important in helping the cinnamon mix into the liquids! In a large bowl, lightly beat your eggs before mixing in the vanilla and milk. Stir the dry ingredients into your egg mixture. Cut your bread in half so it can fit easier in the slow cooker. Dip one piece at a time and layer into the slow cooker in the following order: two bread layers (to form a good base), 1/2c blueberries, one bread layer, 1/2c blueberries, one bread layer, 1/2c blueberries. Pour the remaining egg mixture evenly over the bread. Cook on low for 6-8 hours careful to watch for burning. For this, you will really need to know your own slow cooker. Ours takes right at 6 hours and this is the slow cooker we have. Serve with syrup, honey, or your personal favorite French toast toppings! I see this entry is older, and I just stumbled onto your blog, but I have to ask…. how is cooking going on the road?! I love the camper and what you have done to make it your own, yet I wondered how you store, cook and utilize such a tiny area long term with little ones??? Happy Spring and blessings to you and yours! Hi there! Sorry for the delay in response but we’ve been off adventuring a lot recently. Cooking in our camper is about the same as cooking in a small kitchen with little counter space. An Instant Pot has been amazing and before that we used our crockpot almost daily. The cabinet you see beside the sink on the tour of our home is a small pantry while the cabinets above the couch are also loaded with our canned/jarred groceries. For the most part, we eat healthy fresh fruits, vegetables, and meats so the indoor and outdoor fridges are our most important food storage areas. We could always use more fridge space! I also drink Shakeology once a day as either my breakfast or my lunch and the littles love stealing away with my shaker cup. That helps me knowing they get the boost of good nutrition from there and when we mix them up their own smoothie blends!